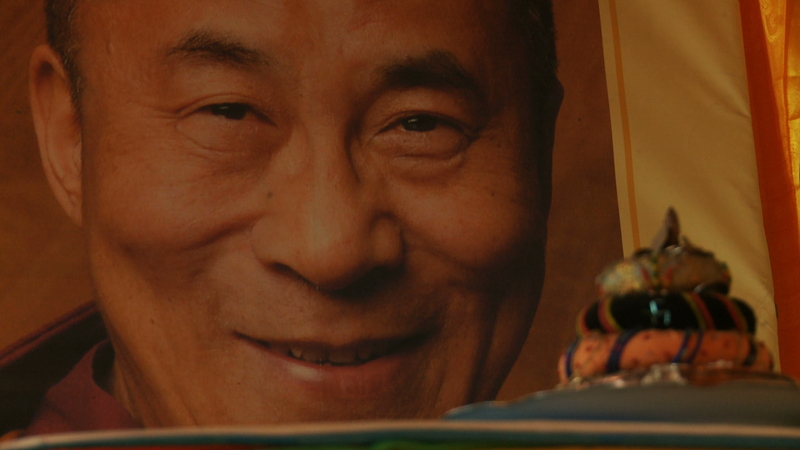 Why Can’t the Dalai Lama visit Russia? In temple after temple in Buryatia, the capital of Buddhism in Russia, one color photo invariably holds a position of honor, often surrounded by garlands of flowers. The photo is of the Dalai Lama, the leader of Tibetan Buddhism since 1950. 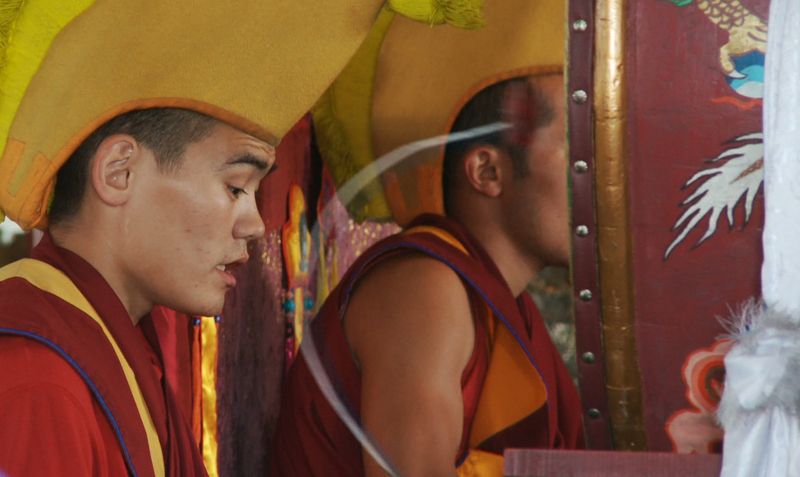 The vast majority of Russia’s estimated 1.3 million Buddhists follow Tibetan Buddhism. Despite the rupture of the Soviet era, this religious preference is a direct a legacy of work performed Tibetan and Mongolian missionaries who came to Buryatia and Tuva four centuries ago. Today, followers of Tibetan Buddhism, from Nepal to Mongolia to Colorado, revere the Dalai Lama as the latest reincarnation of a long line of spiritual leaders who have chosen to be reborn in order to enlighten others. In 1979, the current Dalai Lama made his first visit to the Soviet Union. In 1990, the year after the Nobel Committee awarded him Peace Prize, the Soviet Union awarded him one of its own top awards – The Order of Peoples’ Friendship. Coming at a time when economic ties with China were minimal, this gesture was a low cost way of trying to maintain the fiction of religious freedom in the Soviet Union. After the collapse of the Soviet Union, warm relations continued. In 1994, the Dalai Lama gave an address to Russia’s Duma, parliament. In later years, he received rapturous receptions on visits to Russia’s three heavily Buddhist republics – Buryatia, Kalmykia and Tuva. There, on Russia’s southern edge, he inaugurated temples and monasteries. But as Moscow’s trade with China became increasingly important, Russian visas slowed and, after 2004, stopped. China’s objections to the Dalai Lama center around his role as head of Tibet’s “Government-in-Exile,” a group that advocates independence for Tibet, currently an autonomous region of China. But Russia’s Buddhist population is steadily expanding. And visa requests for the Dalai Lama keep coming. Russia’s mediation offer seemed to have vanished into thin air. Today, he officially exerts only a religious role as the head of Tibetan Buddhism worldwide. On a five day visit to Buryatia in early July, I got the same, unflinching view from Buddhists: we want the Dalai Lama to come and visit us. At one prayer hall, a nun, Tenzin Choidrin, her head shaved and her heavyset frame swathed in magenta robes, said that a price cannot be put on the role of the Dalai Lama for the rebirth of Buddhism in Russia. His visit, she said, would be like water, which is needed by parched, sunbaked soil. Now, when things are calm, would be a good time for Russia to stand up to China, and to follow the wishes of its Buddhist minority. One only has to look at Russia’s tense relations with its Muslim minority to see how indifference can lead to alienation, radicalization and secessionism. Just on Saturday, in the latest killing in a slowly grinding cultural war, Islamic militants in Dagestan, Russia shot dead a school principal who refused to allow female students to wear headscarves. 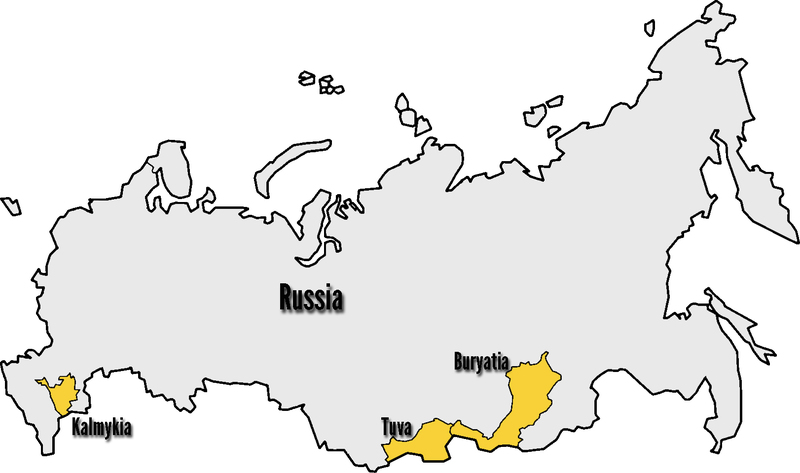 Here on Russia’s Buddhist edge, Mongolian separatism is now on the back burner, after flaring up in the 1990s. The Kremlin is highly reluctant to irritate Beijing. China’s population is 10 times bigger than Russia’s. By the end of this decade, China’s economy is to be 10 times bigger than Russia’s. But now may be the time for Moscow to embark on proactive diplomacy.